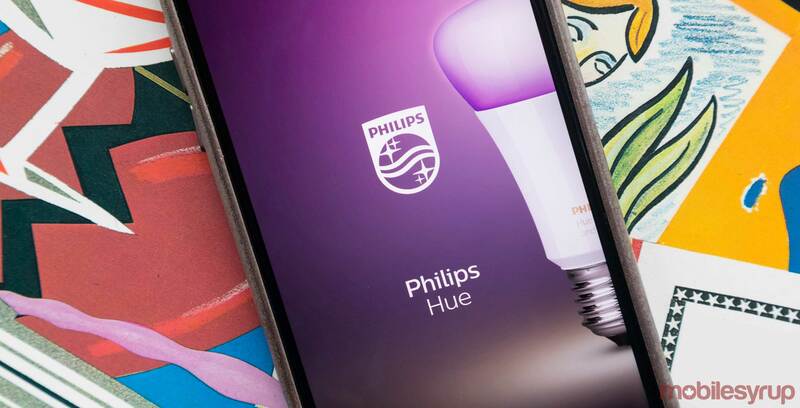 The Philips Hue smart light app on iOS now supports Siri Shortcuts, allowing users to create custom voice-activated lighting sequences. The app updated to version 3.6.0 on October 3rd, adding both Siri Shortcuts and integrations with the Apple Shortcuts app. Any user with a Hue Bridge version two (the square one) and a device running iOS 12 will have access to these features. Siri Shortcuts allows the app to learn when you typically activate your favourite lighting ‘scenes’ and then it preemptively asks you to activate it during that time. For example, if I often set my lights to a dark blue scene before bed, the Siri Shortcut will recommend that lighting scene to me late at night on my phone’s lock screen. Alongside this, users can record personalized activation phrases for their favourite scenes in Siri Shortcuts’ settings. Apple Shortcuts integration should allow Philips Hue lights to be controlled by a variety of sources, but so far it’s been added with limited functionality. Reddit users have reported that the only way they’re able to add Hue controls to Apple Shortcuts is if one was already set up through Siri Shortcuts in the iPhone’s Settings app. Controlling Hue lights with voice controls has been around for a while via Apple’s HomeKit. Users can create custom scenes and activate them with Siri in the iOS Home app. To learn more about integrating Apple Shortcuts and Hue smart lights, check out this Reddit thread for some possible workarounds and tips. To learn more about Apple Shortcuts, check out MobileSyrup’s intro to the feature here. Hopefully, Apple Shortcuts users will get more functionality in future updates, but for now, it looks like users have to control their light with either Siri Shortcuts, the Home app and Apple HomeKit voice controls, or manually through means like pioneer lighting a candle.